You want to lose weight in the most effective fashion possible, but trying to sift through all the weight loss advice has you wondering what’s true and what’s not. That’s why it’s better to look at scientific evidence rather than someone’s opinion or advice. This way you cut straight to the chase, avoid misinformation, and dodge crazy dieting myths that give you zero results or worse. 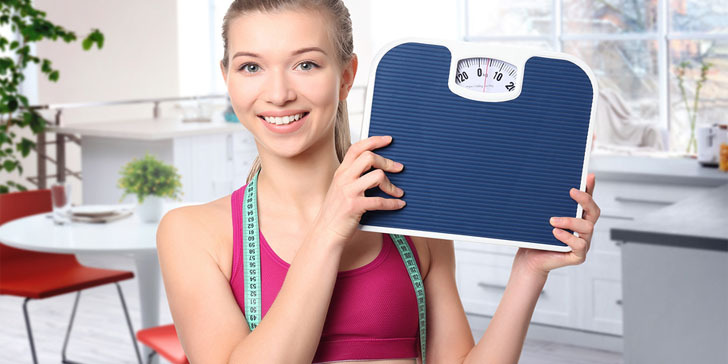 There are a number of effective weight loss strategies that are backed by scientific evidence, and I am going to walk you through 28 of these strategies. Strategies you can be sure will lead directly to weight loss without wasting any time. Higher satiety means the food fills you up more and maintains that fullness for longer. This also means you are less likely to over eat or snack during the day. In general people unknowingly eat up to 300 to 400 extra calories a day because they feel the need to constantly snack. Avoiding this will lead to quicker weight loss and help stop future weight gain. If eggs are not an option for you, pick any whole food protein source, and it will hit the spot. In addition to starting your day with protein instead of a high carbohydrate meal, it’s important to cut back on refined carbohydrates throughout the day. Refined carbohydrates can make you gain weight fast. Unlike whole grain sources of carbohydrates, refined carbs have the nutritious parts removed during the manufacturing process and are then usually packed with added sugar. Examples include white bread and pasta. This process turns whole grain foods into empty calorie, high glycemic index foods that can easily spike your blood sugar. Hours later, when this effect has worn off, you feel hungry again and crave more food. That’s why it’s better to chose whole grain breads and pastas. Added sugar is listed by many names and added to almost every processed food. Even weight loss “friendly” foods are often packed with added sugars. Eating more than 6 teaspoons of sugar a day can lead to significant weight gain and will prevent you from losing weight. Sugar sweetened beverages are the most notorious for causing obesity and weight gain, and whenever possible should be substituted for water or other non-sugar options. Drinking water instead of other sugary beverages is great for weight loss, and not just because you are avoiding sugar. Studies have shown that drinking water before meals or with a meal reduces feelings of hunger and increases satiety. Tea is the most popular beverage in the world after water. Tea is a good way to stay hydrated, but it’s also a great way to lose weight. Green Tea in particular contains an excellent source of phenolic antioxidants including catechins and epigallocatechin 3-gallate (egcg) which stimulates thermogenesis and therefore fat oxidation. This increase in metabolic rate coupled with a surge of increased energy is why drinking coffee is great pre-workout. That said it’s best to limit coffee to 1 cup before a workout because more coffee leads to higher levels of cortisol during the day which can lead to overeating. As you can see what you drink is just as important as what you eat. When trying to lose weight you want to keep your calorie count in check. This is much harder to do when you drink beverages with a high number of calories. That doesn’t leave much room for eating foods high in fiber, which are much better for you. Many high calorie drinks such as soda and even commercial fruit juices owe their caloric content to sugar. So you are basically drinking liquid sugar. When losing weight, you want to aim for eating foods with high fiber content. Processed foods and beverages typically lack fiber. Whole foods such as whole grains, beans, vegetables … especially those from the cruciferous family, and even some fruits, such as mango, are high in fiber. Fiber is super important for weight loss for two reasons. One is that fiber helps with proper digestion and the other is that it keeps you full so you eat less. Many people miss the mark when trying to reach the daily recommended fiber intake which is 14 grams per 1000 ingested calories. This means that you are missing out on the benefits of fiber, another of which is helping to reduce the glycemic load of meals. Most people know they aren’t eating enough vegetables during the day. It’s so easy to reach for a slice of turkey, bread, and cheese. However doing this day after day, and skipping the vegetables and fruits means you are missing your opportunities to lose weight. Fruits and vegetables help you lose weight because they contain lots of fiber. Plus they are full of water, which makes them a low energy density food. This means they fill you up using fewer calories. Crunching on fruits and vegetables also helps with satiety. When eating more fruits and vegetables, don’t go for processed sources such as sweetened canned fruits or canned vegetables with high sodium contents. Eat whole, fresh or frozen food with no additives. The more natural you eat, think foods fresh from the farm or garden, the healthier and lower calorie your diet will be. Processed foods have fats, sugars, and other chemicals added to them that cause you to put on weight and keep it. Going organic cuts down even more on unwanted chemicals, so choose organic whenever possible. Many people don’t realize the power of protein for losing weight, yet it has been shown to boost metabolism by up to 100 calories per day! Females typically need 46 grams of protein and men 56 grams. These numbers are calculated without regard for exercise. For people who do exercise, the requirement is slightly more. If you find that you aren’t eating enough protein, you could use whey protein powders. Snacking on the wrong foods is a quick way to gain weight. Having easy to grab healthy snacks such as apples, nuts, berries, hardboiled eggs, or plain low sugar yogurt, is a simple way to keep calories low and energy high. Healthy food may seem a bit too plain, but it doesn’t have to be. You can spice up any healthy snack or meal with a wide variety of spices and herbs. How you eat also plays a role in weight loss. If you eat fast without thinking, you tend to overeat. That’s why it’s important to slow down and chew your food longer. This method helps you pay attention and recognize at what point you are actually full. For some food can become an addiction. In fact the prevalence of food addition may be higher than we once thought. There are many reasons people become addicted to food and those issues need to be addressed so they don’t stand in your way when trying to lose weight. Avoiding food to lose weight may help you drop a few pounds quick, but it’s hardly ever sustainable. Instead of restricting all forms of calories to lose weight, consider lowering those that have the greatest potential to cause you to gain weight. Carbohydrates, especially refined ones, are fast sources of energy that your body can easily use. When you lower the amount of carbohydrates you take in, your body is eventually forced to burn fat as a source of energy. This doesn’t mean that all sources of carbohydrates are bad; quality is key here. Carbohydrates high in fiber with a low glycemic index are the ones you should keep while tossing out highly processed carbs containing added sugar. Counting calories has never been easier. Now there are apps that can list the calorie content in just about every food you can think of, plus help you keep track of it all. 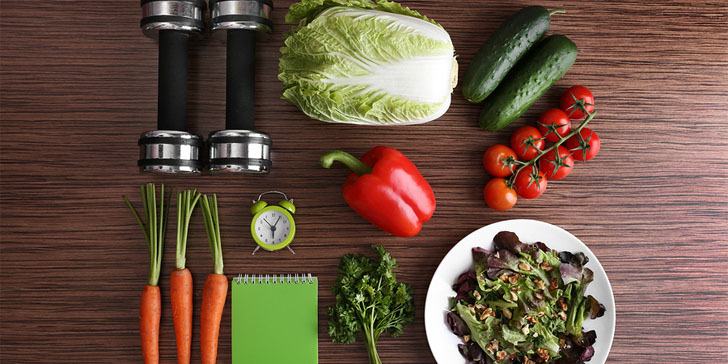 Studies have shown a significant association between self-monitoring of food and weight loss. (21) It helps to know how much food you eat each day. You may be surprised to find that you are eating 200 extra calories or more every day which is constantly contributing to ongoing weight gain. Over time you become aware of what 1200 to 2500 calories looks like, so you know when you are overeating. Visually a smaller plate looks full with less food. People have a tendency to fill their plates or bowls. A new weight loss strategy on the rise is temptation management. The idea here is that you learn to minimize temptation instead of resisting it. For example, a simple act like brushing your teeth after dinner may prevent you from being tempted to have a late night snack. Going the grocery store on a full stomach or slowly decreasing your ice cream intake over the course of a month instead of going cold turkey are other examples of minimizing or preventing temptation. Besides eating healthy, exercise, particularly aerobic exercise, will help you get rid of fat and cellulite faster. To see a significant change in your body, you really need to work your way up to doing at least 30 minutes of challenging aerobic exercise every day. Periodic strength training of the different muscle groups will help your body burn fat around the clock and keep you looking toned. High intensity intermittent exercise or hiie is where you exercise at a high intensity in short bursts followed by periods of rest. Your high intensity exercise could be aerobic, such as a 30 second sprint followed by a 2 minute rest or resistance training such as 30 seconds of jump squats followed by a 2 minute rest. This is repeated for 6 sets, 3 times a week. People who have a restful night’s sleep for at least 7 hours tend to have better weight loss success. So get comfy at night. Change your pillow or mattress if needed, and cut down on outside noise, light, and other distractions while you sleep. Highly processed oils containing these lc fats are not natural or good for your body. In fact, overtime they cause you to gain weight. Worrying about your weight instead of taking measures to lose weight could actually be causing you to gain more weight. Work related stress has also been linked to weight gain. (31) Meditation, exercise, and hobbies can help cut down on stress, so you are better able to lose weight. Try implementing as many of the strategies as you can. If you can manage all of them that’s great, because they are all scientifically proven to help you lose weight. it is very true that weight loss is full of myths. i am so happy i found this article. all strategies mentioned are scientifically proven. i always do my research before i try any weight loss diets. i always look for scientific evidence to prove that it is effective and never listen to other people’s opinion. i agree. we should slow down while chewing. eating quickly can lead to poor digestion of food. i also feel more satisfied and full if i chew my food slowly. quality sleep sure does make a great contribution to losing weight. this is such a good read and there’s more to it than the usual posts we see. drinking water before each meal can help you control your appetite and make you feel easily full so you don’t overeat. drinking water on an empty stomach is also one very good tip i learned. having a high protein meal for breakfast is your great 1st step to a healthy and energy-filled day and to losing weight in general. definitely cut back on refined carbohydrates. choose whole grains instead and you’ll see good results sooner than expected. getting rid of added sugar is a big factor. this has been my issue because i really have a seet tooth and it was too difficult for me to cut down on my sweets. but once i was determined, i did it and now i achieved my weight goal. i will start to cut back on sugary drinks. drinking water before eating meals is one of the most helpful tip you can use for your weight loss program. try to stick to organic products as much as you can. 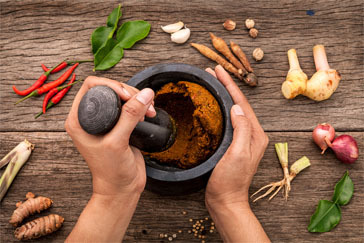 i didn’t want to believe it at first but after some research, apparently spices help in weight loss. try high intensity and strength training. definitely get rid of added sugar in your diet, even in your drinks. water is the best you can give your body! up you fiber intake and you’re sure to lose a lot of weight. this will even promote healthy digestion. water is the key to clean weight loss. drinking water before each meal is the most natural way you can your weight loss goal. definitely up you fiber intake. these foods make you full but without unnecessary fats and unwanted stuff. having sugary drinks will not help you in any way with your weight loss goals. avoid these by all means. always drink water. this is a secret i do to keep me from feeling hungry.